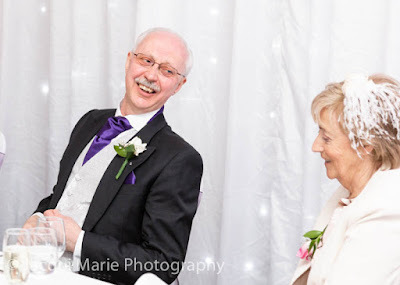 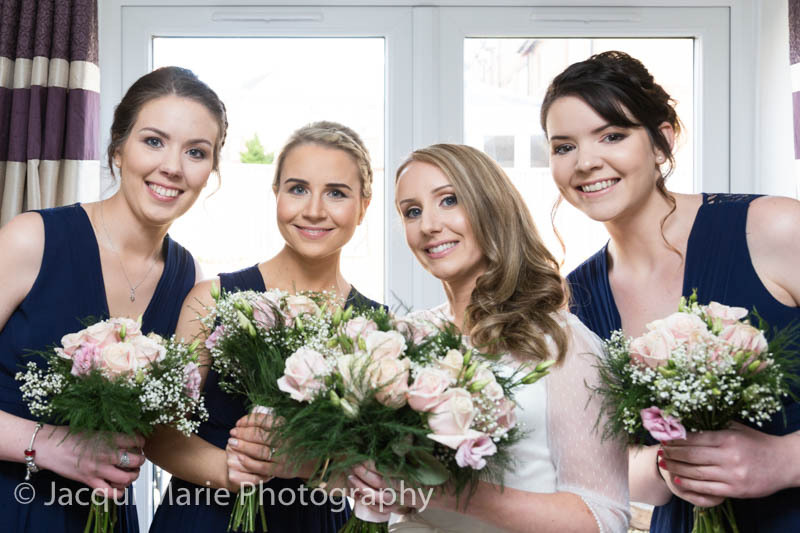 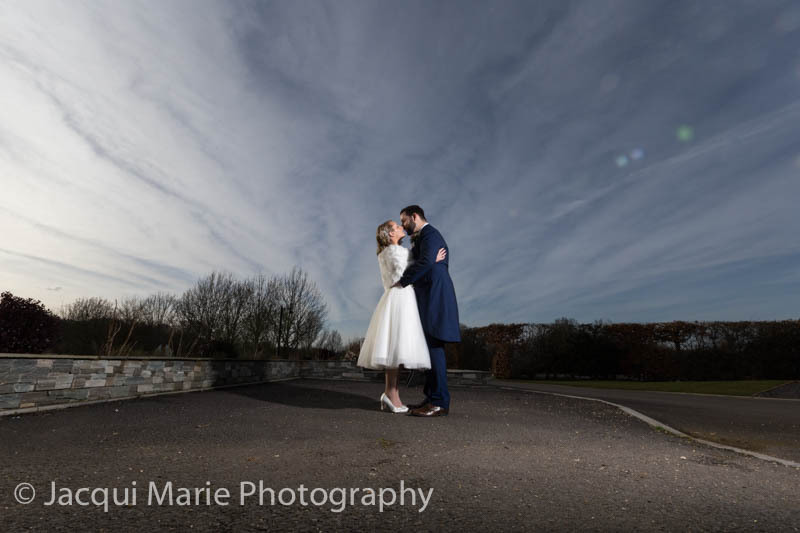 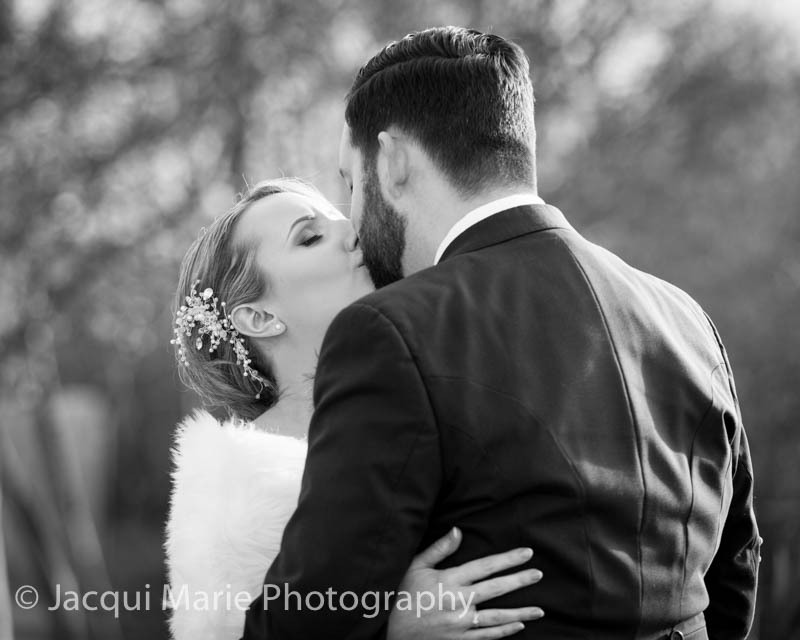 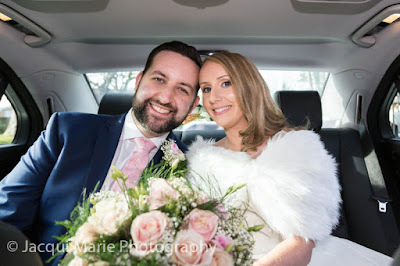 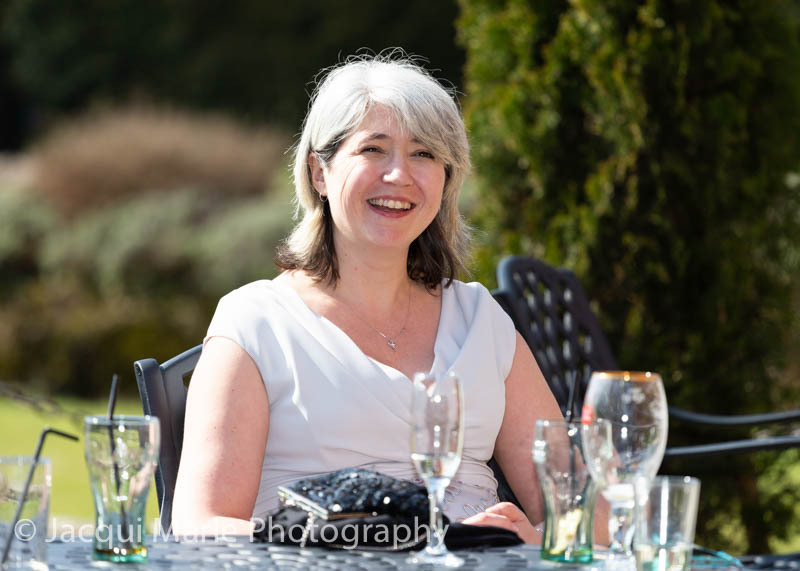 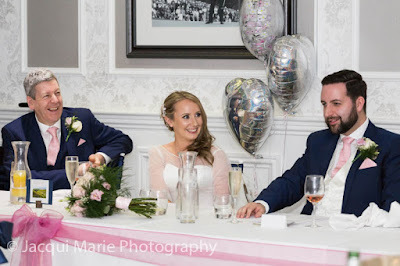 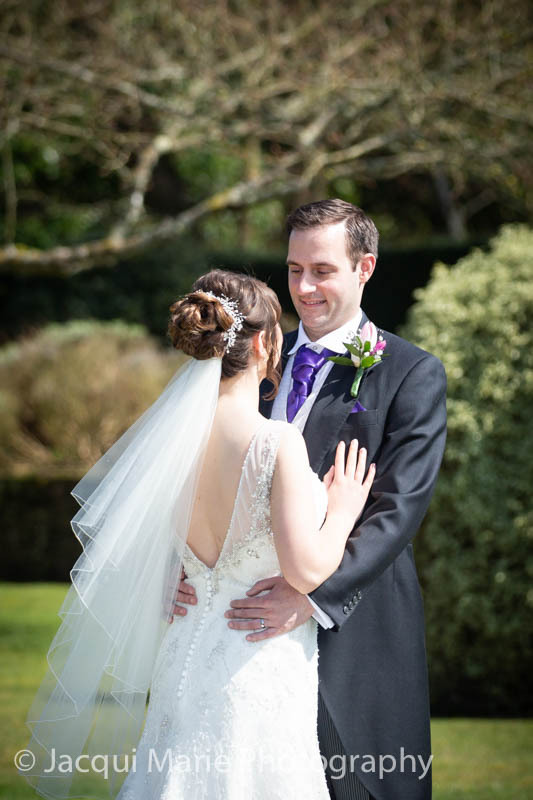 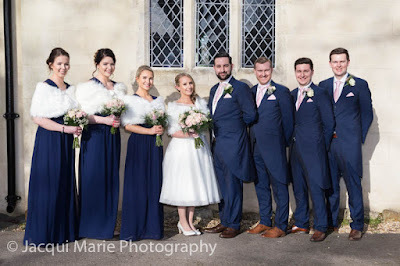 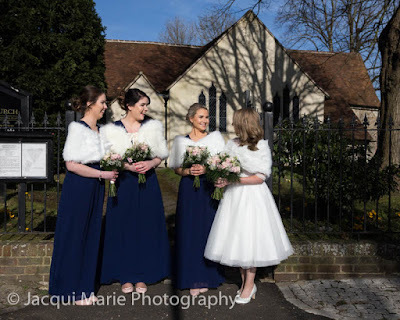 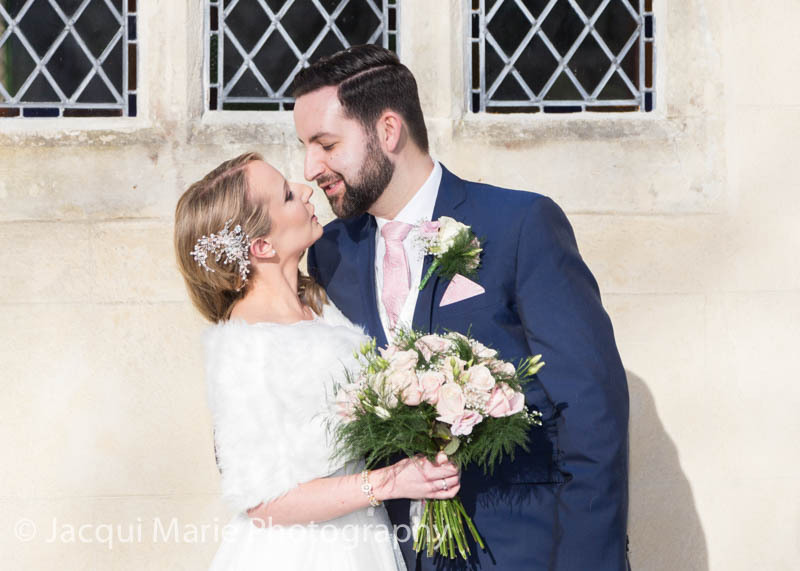 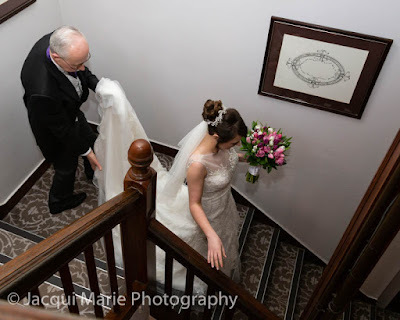 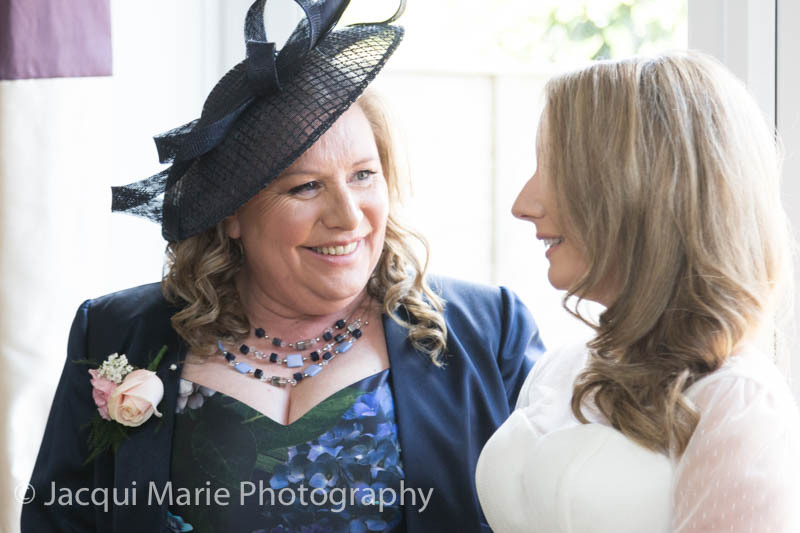 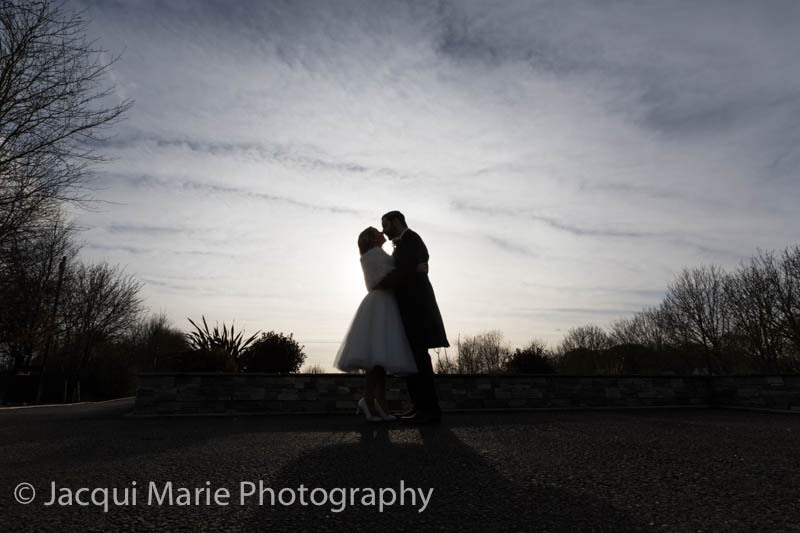 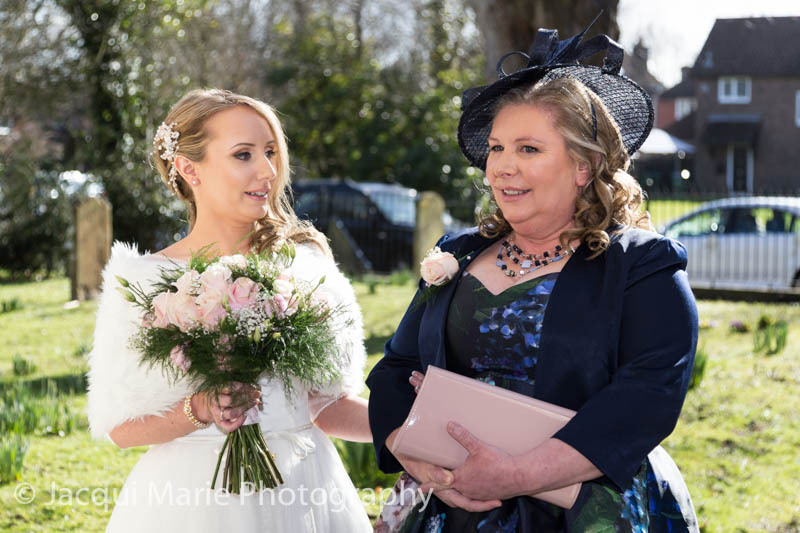 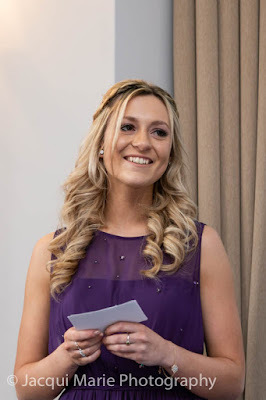 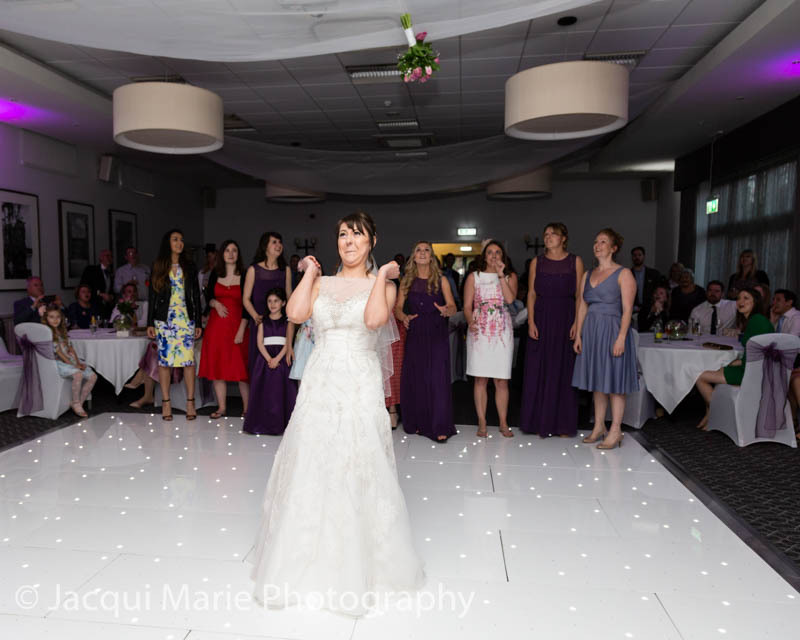 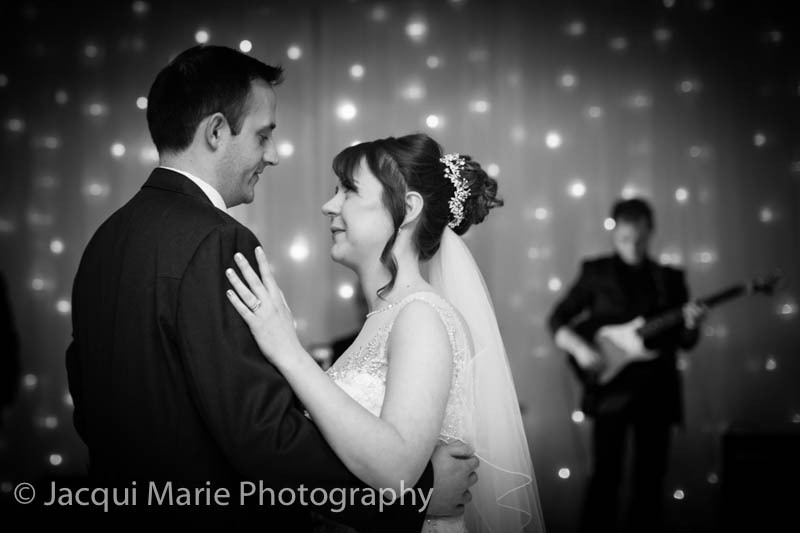 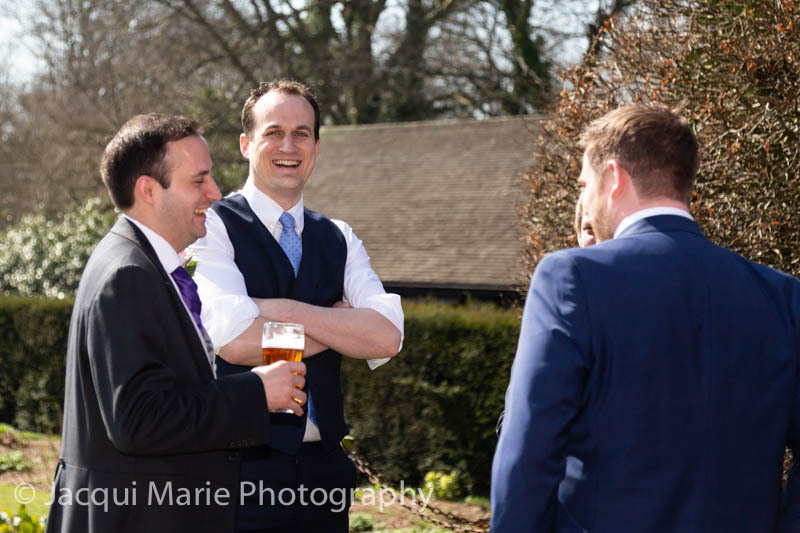 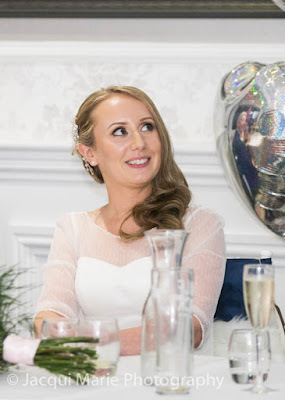 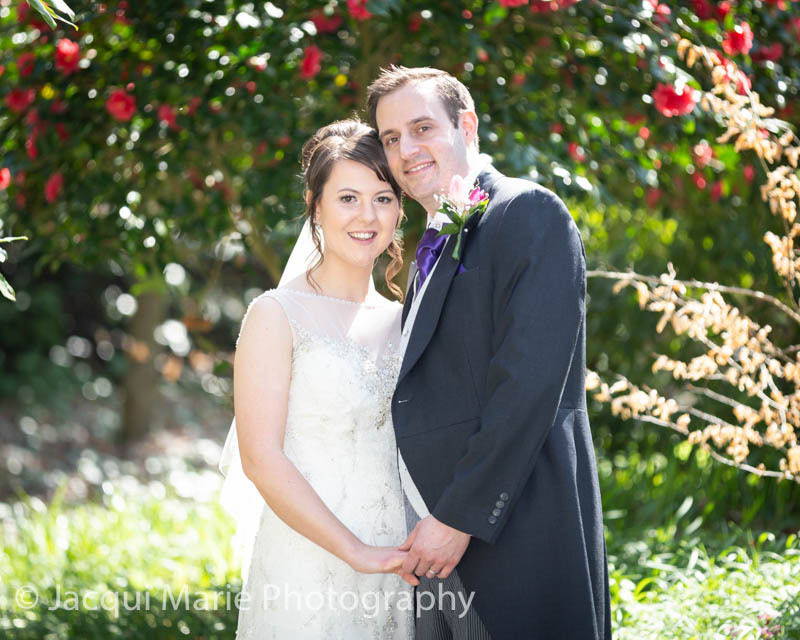 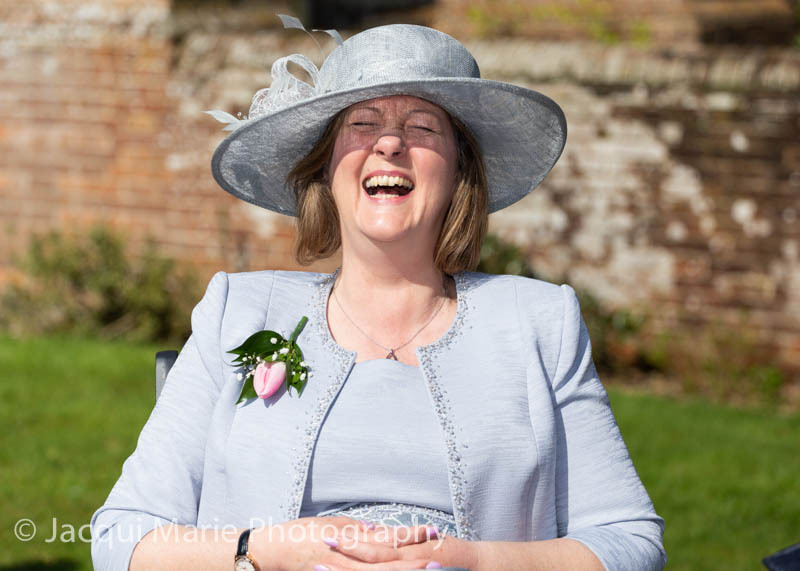 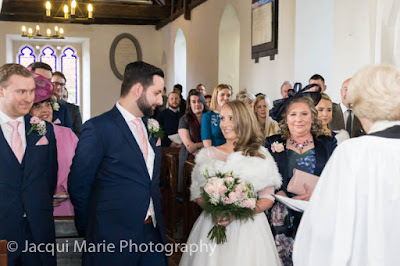 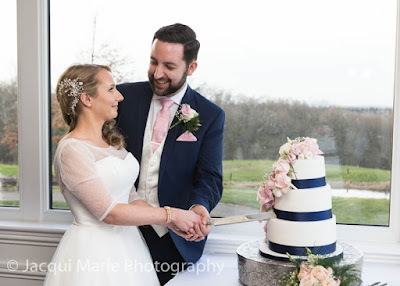 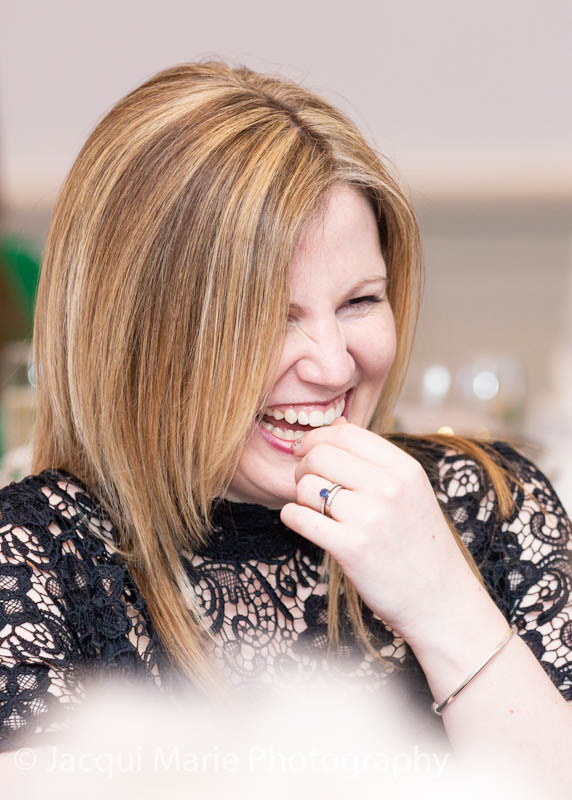 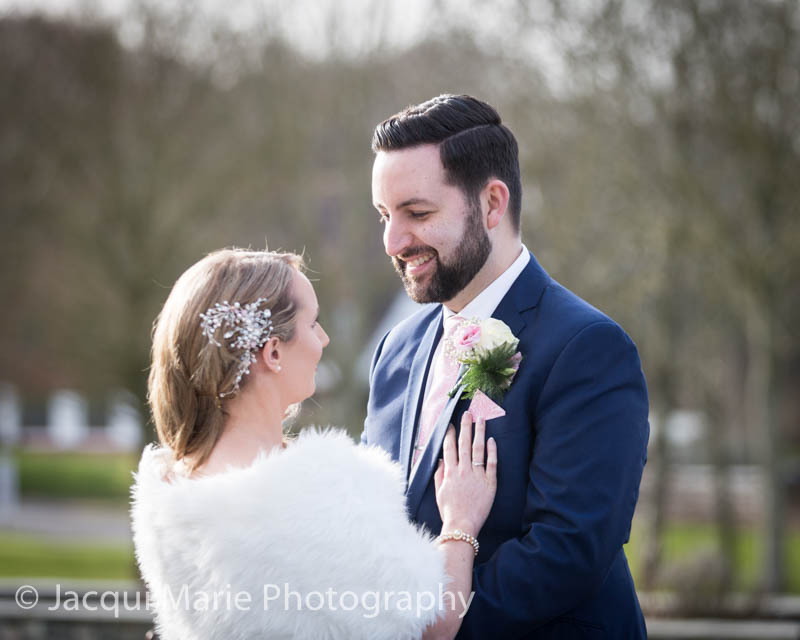 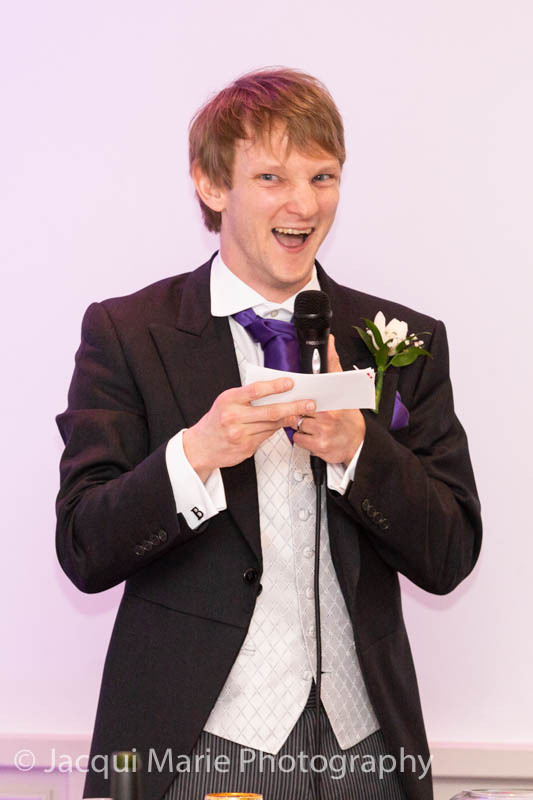 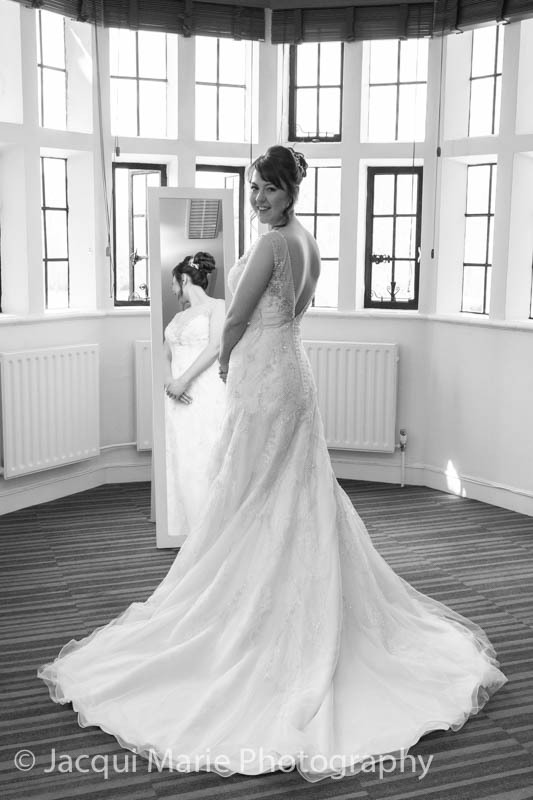 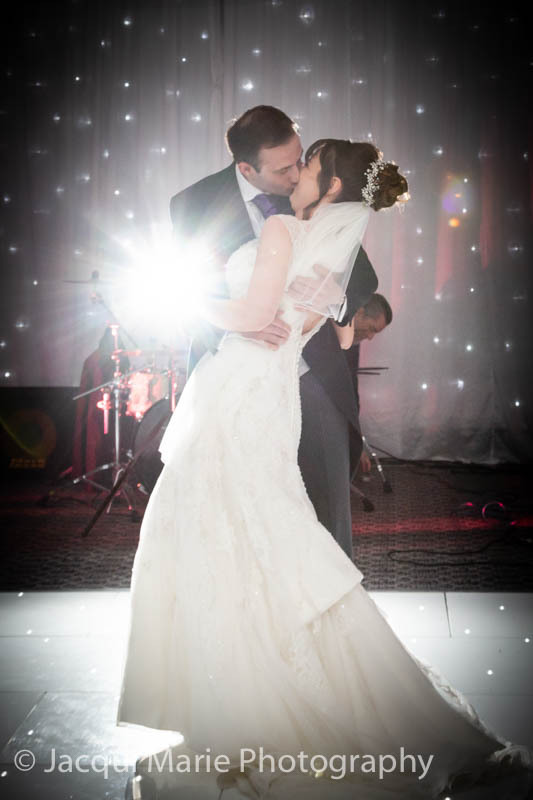 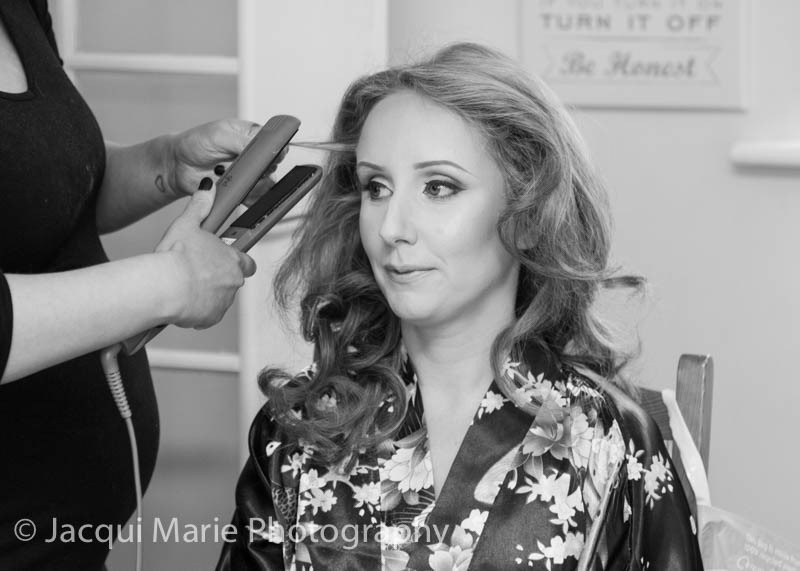 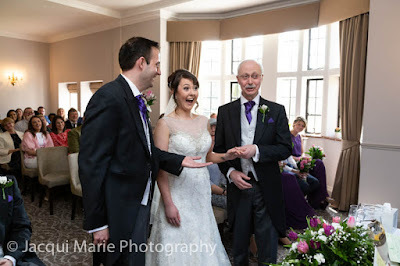 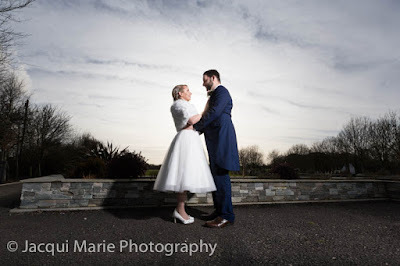 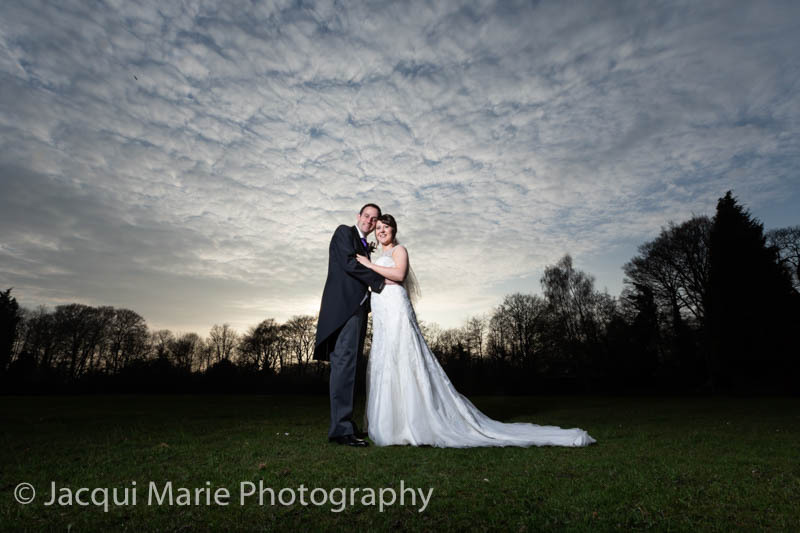 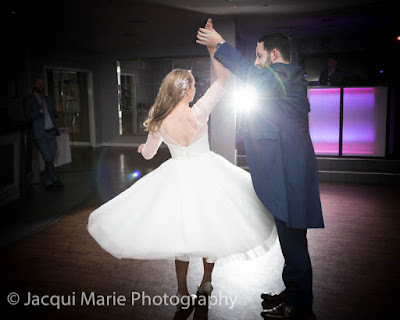 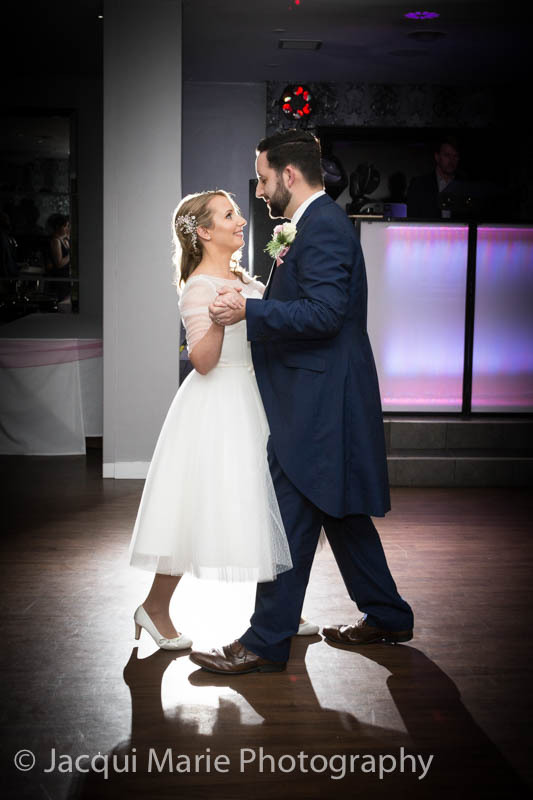 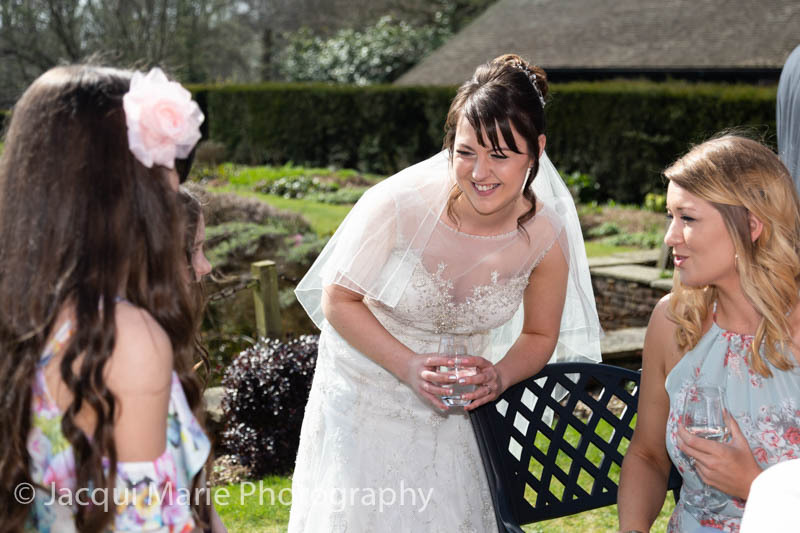 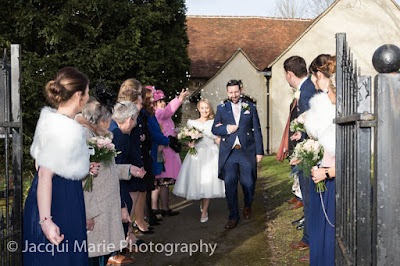 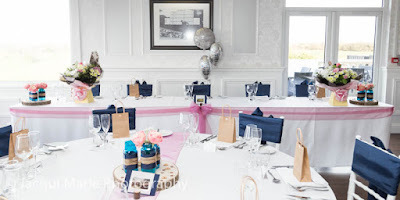 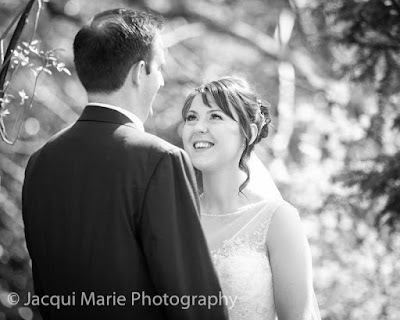 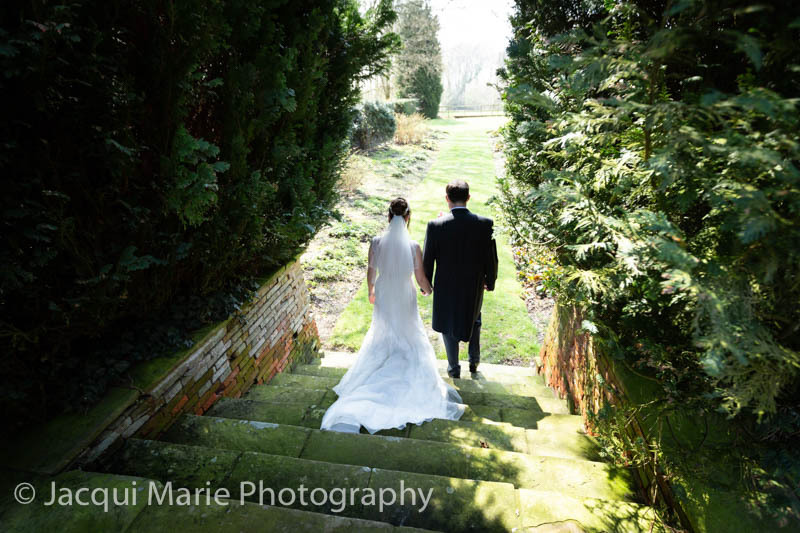 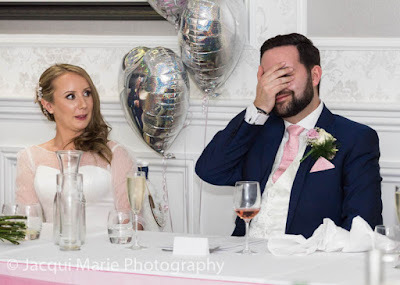 Ted and Vicki's wedding was in February 2018 at the Skylark Country and Golf Club on the outskirts of Whiteley near Fareham. 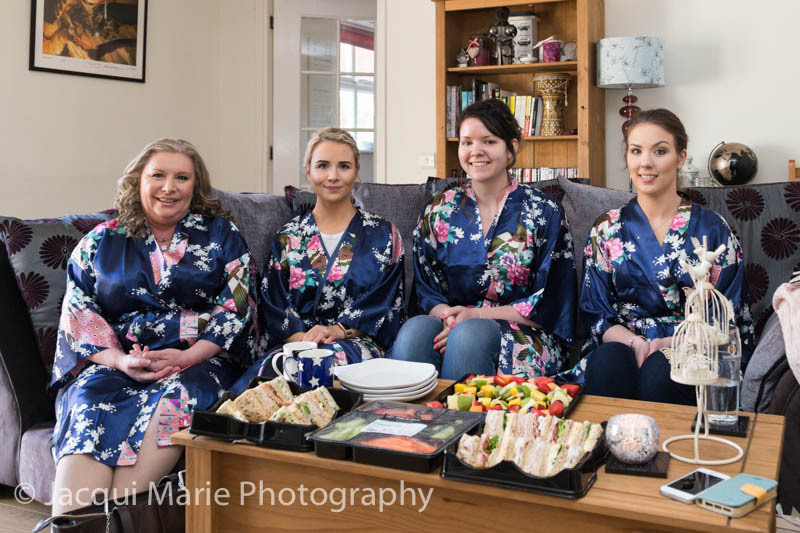 Bridal Prep was very calm and well organised with plenty of top food to set them up for the day. 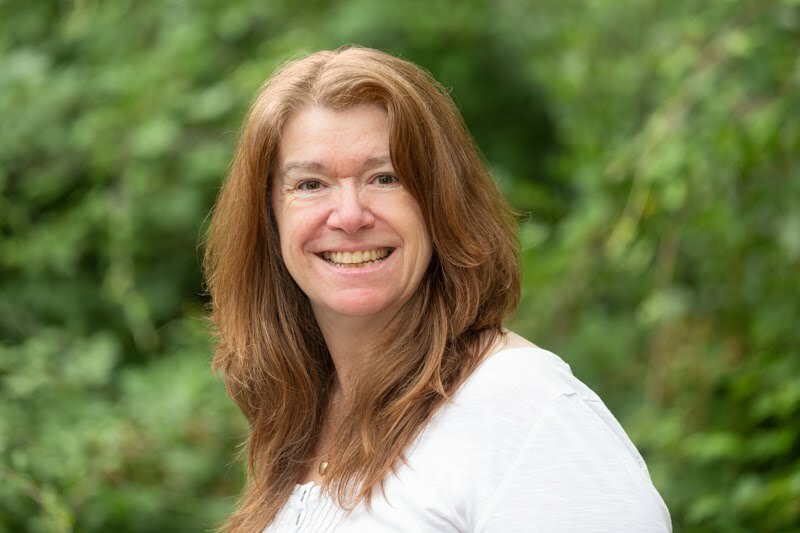 Hair and makeup was done by one of Vicki's friends and she did an outstanding job and in plenty of time. 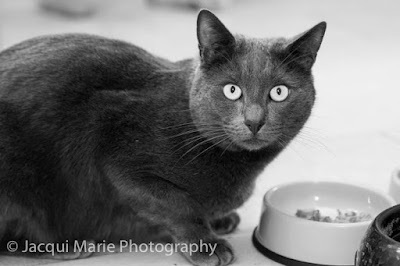 Ted and Vicki's cat "Alfie" came in for some food but quickly decided that his home was no place for a guy on this particular morning. 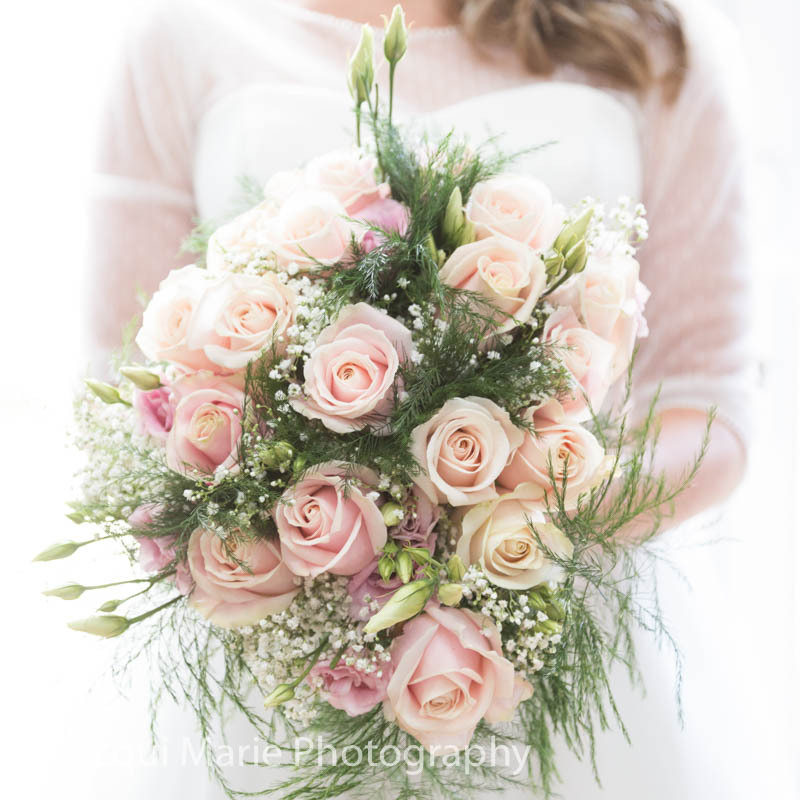 Vicki's bouquet was a huge arrangement of pink roses and was amazing. 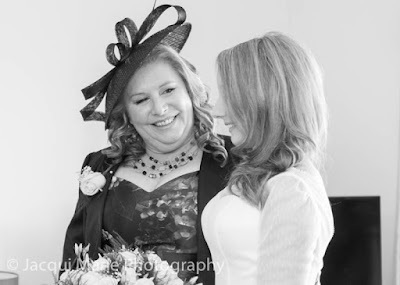 ...and she was the proudest Mum in the World. 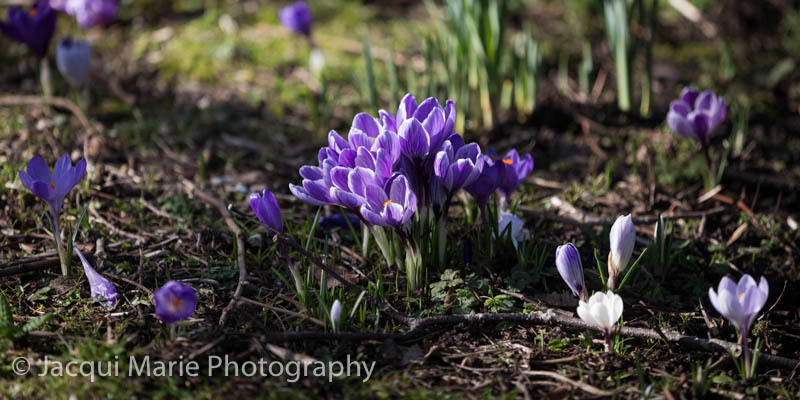 ...and it was awesome to see the churchyard full of Winter flowers stretching their delightful colours up towards the welcome sun. Spring is at last on it's way. ...and it was time for Vicki to join Ted at the altar. 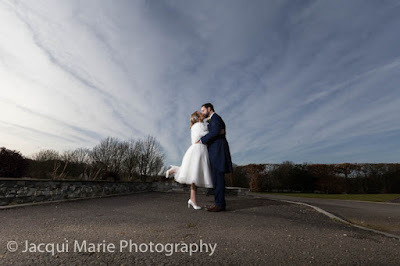 ...the weather was just perfect - warm, still and very pretty. 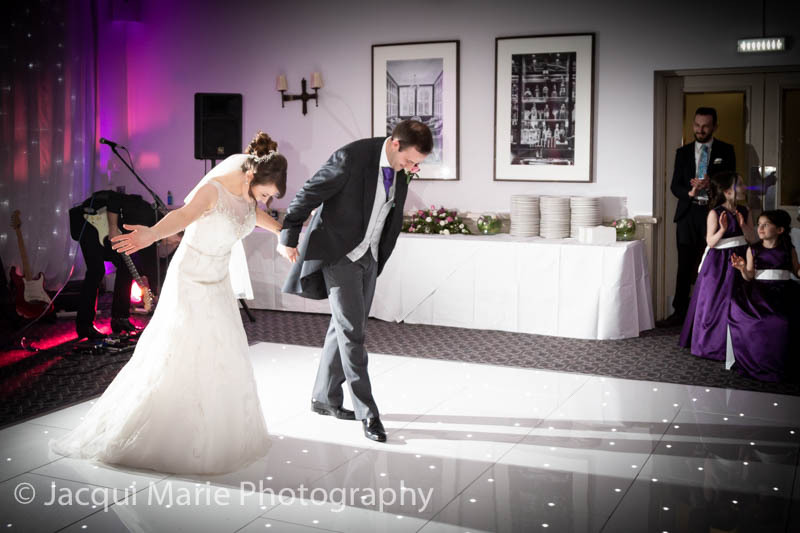 ...and off to Skylark for their Reception. The room for their meal was beautifully decorated. ...with just the right amount of embarrassment for Ted. 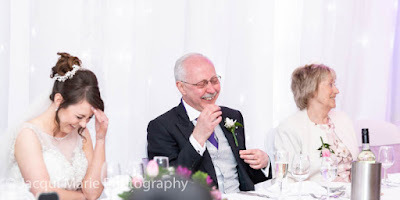 But when it came to Ted's speech, he pulled it out of the bag and said all the right things about Vicki. 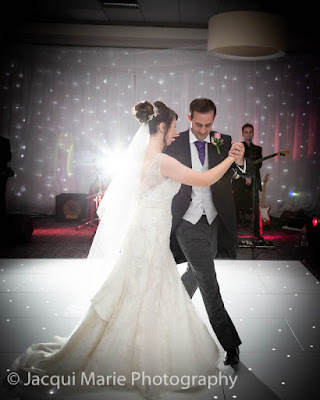 ...with steps and twirls that wow'ed their guests. Ted and Vicki had a fabulous day with outstanding weather. We wish them all the happiness in the World for their new life together. 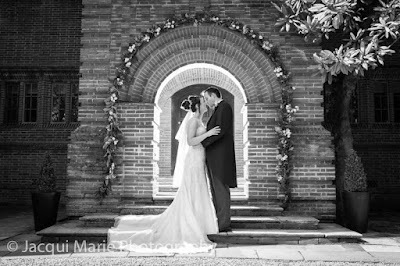 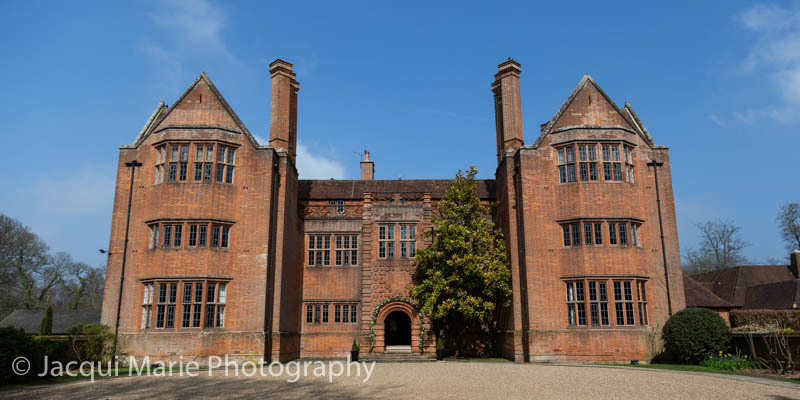 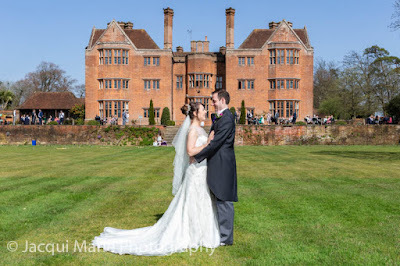 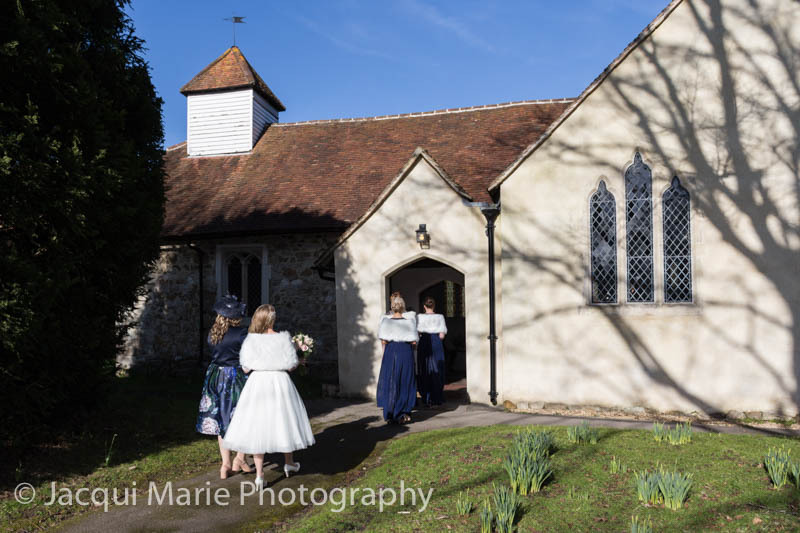 James and Millie had the most amazing weather for their mid-April wedding at New Place near Shirrell Heath in Hampshire. 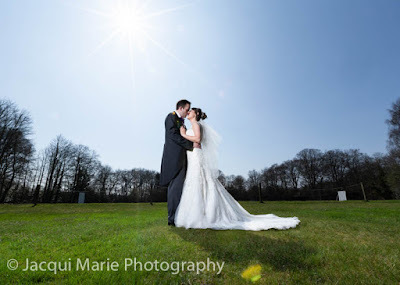 It was warm sun, blue sky with flowers and blossom. Apart from the fact that the trees still had no leaves, anyone could have been forgiven for thinking it was a mid-summer's day. 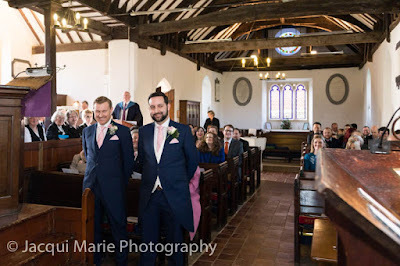 ...and then it was time for the ceremony. 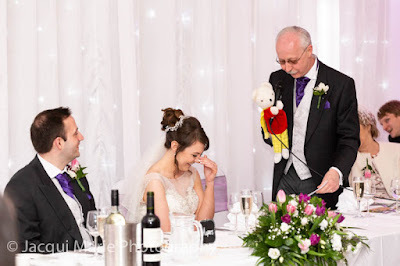 The whole day was full of fun and the moment of Dad giving away his daughter was no exception. But there were also tender moments like when one of Millie's bridesmaids read her reading in the ceremony. ...for some private moments together. 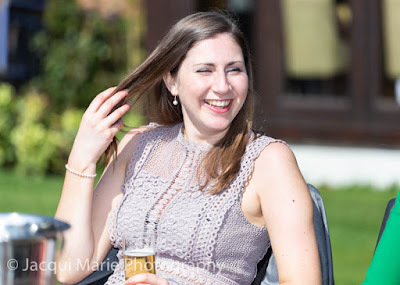 ...having fun in the sun..
...and a beer or two. After perfect weather all day, we were treated to a beautiful evening sky. ...but these girls took it very seriously, much to the delight of the bridesmaid who caught the bouquet. 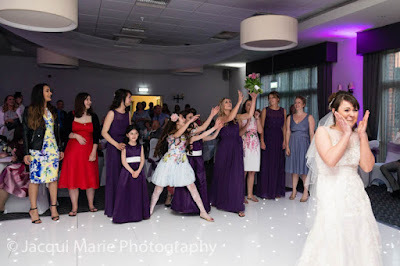 ...and there was a huge cheer when they finished. 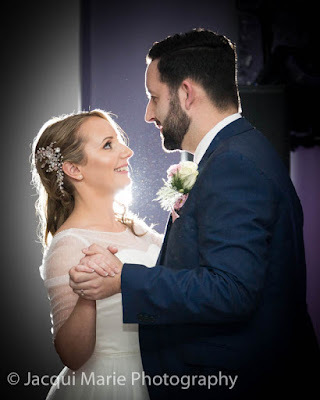 James and Millie had the most amazing fun-filled day, with perfect weather, wonderful guests and a even a live band for the evening. It was awesome to be part of their wedding day and we wish them all the very best in their lives together.